Sport is a great uniform of life - it takes us out of our everyday existence, brings us all together on a "level playing field" and shows us the opportunities we can mould for ourselves through application. By focusing our attention on less advantaged communities, the IC’s Philanthropy Programme hopes to give those children an alternative focus to the streets and their inherent dangers of drugs, crime and negative peer pressure. 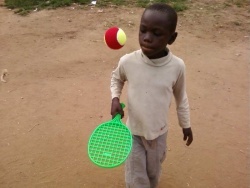 Through tennis, and the dedication and structure it provides, we hope the children in our projects will learn basics such as commitment, self-esteem, respect for fellow players, physical fitness, the benefit of nutrition and how to play by the rules of fairness - all wrapped-up in an overall feeling of fun and enjoyment. The IC’s first charitable development programme was co-organized in Burundi by the IC of Luxembourg in 2009 with Sport Sans Frontières and the ITF. The IC Philanthropy committee is currently supporting 10 socially uplifting programmes. 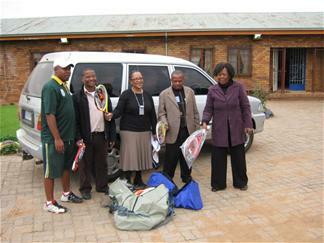 Each programme is administered by one of the IC member countries. Please click here to find out more. 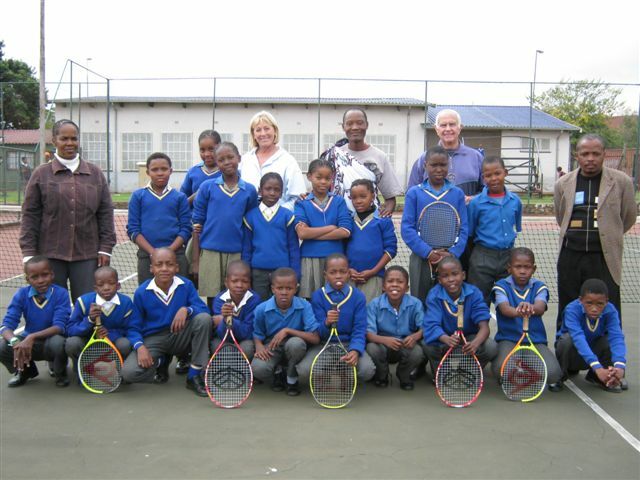 Our activities are in line with the modern IC’s Mission Statement which includes : “promoting the growth of tennis by, among other things, encouraging participation of the young and the less advantaged”. Our projects in Vosloorus (near Johannesburg) and Kenton-on-Sea (near Port Elizabeth) provide the IC SA with perfect opportunities to put something back into the game which has given us so much. Involvement in a programme such as this allows them to make new friends, learn how to follow rules, achieve personal goals, improve their self-esteem and stay off the streets. We hope that for some this opportunity could be life-changing! Please watch the videos about our existing projects.